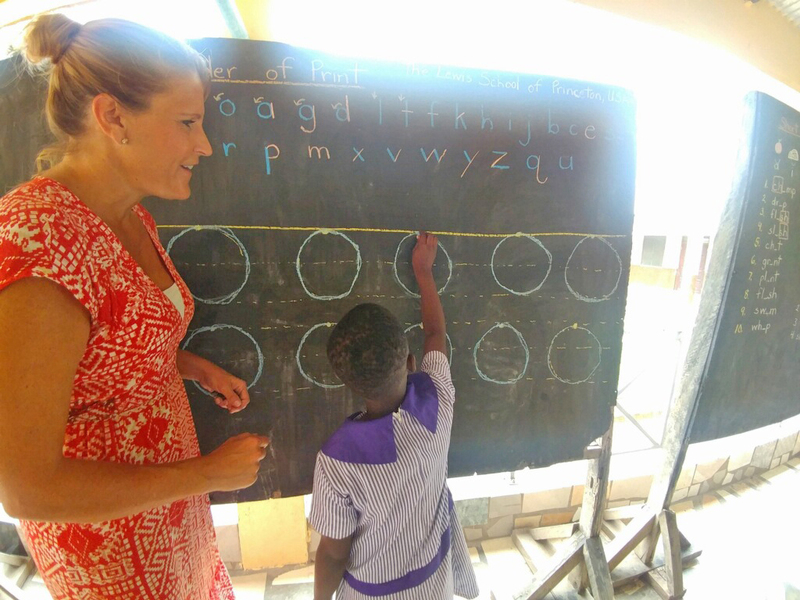 This summer, Lewis master teacher and learning specialist, Keara Kilpatrick, was invited to teach at an orphanage in Ghana, West Africa. 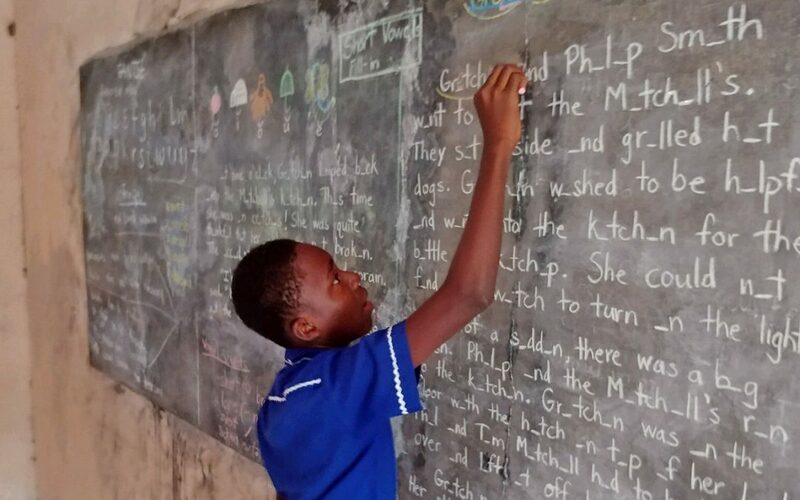 As a Lewis educator, she took the teaching and learning approaches developed by Marsha Gaynor Lewis for The Lewis School to children and teachers at Countryside Children Orphanage and School in Awutu Bawjiase. 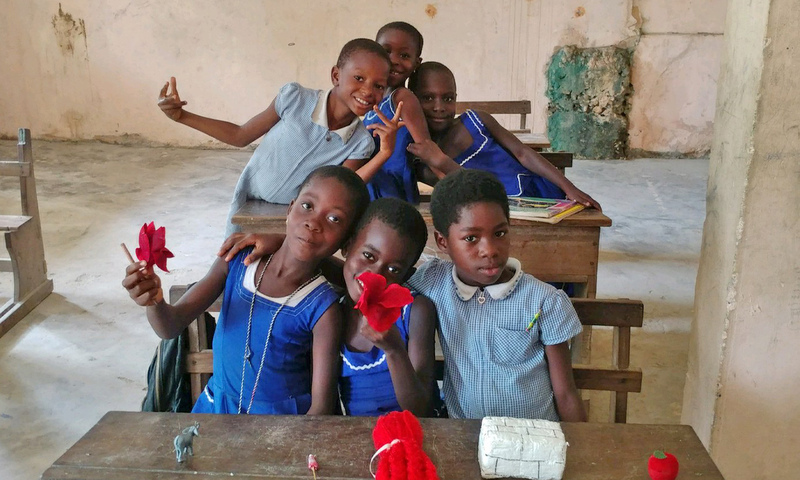 Located in the central region of the country, the orphanage and school lack basic necessities, such as running water for health and hygiene, and teachers for the many students in need. After two weeks in Africa, Miss Kilpatrick walked away with a renewed sense of gratitude and humility. The Countryside Children’s Orphanage houses over one hundred children, from infants to adults in their 20’s. 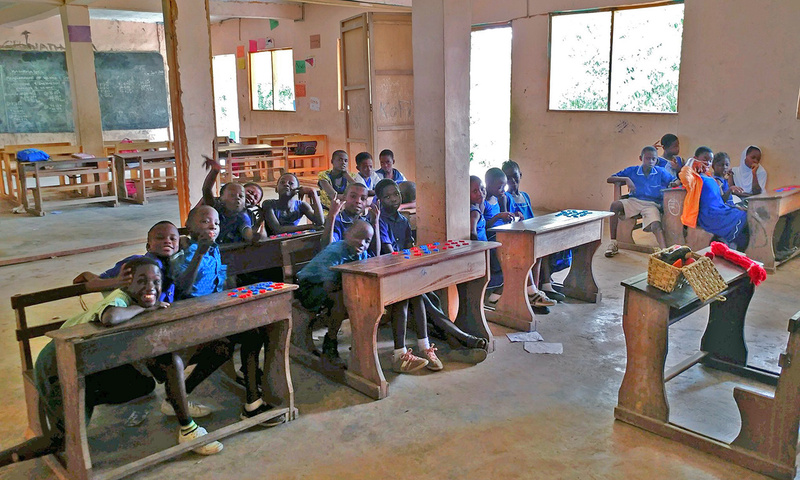 The school is part of the orphanage, where teachers are often the orphans who have become adults. Like the rest of the country, there are not enough teachers. On Miss Kilpatrick’s first day, she was scheduled to teach a class of young children, when next door, she discovered another full class, whose teacher was absent. She combined both classes, took out her backpack, and began teaching them all. Among a diverse resource of multisensory strategies and techniques, Miss Kilpatrick taught the original Lewis School Object Box to enhance phonics, reading, spelling, and writing. Miss Kilpatrick’s interaction with the children and their teachers provided great opportunity for success through new forms of learning. For the children, the alphabet codes began to make sense. And for Miss Kilpatrick, she came to appreciate the resilience of those who have so little and the kindness of strangers when that is all there is to give. Miss Kilpatrick’s compassion and commitment not only reflect a teacher who champions all children, but also a school whose mission is realized both at home and abroad.